Simple rules about the verbs To Have and To Have Got. What they have in commun and the diferences between them. Very simple to understand and visual. To have is "weak" and To Have Got is "strong". This downloadable printable was created for elementary school students at Elementary (A1) level. 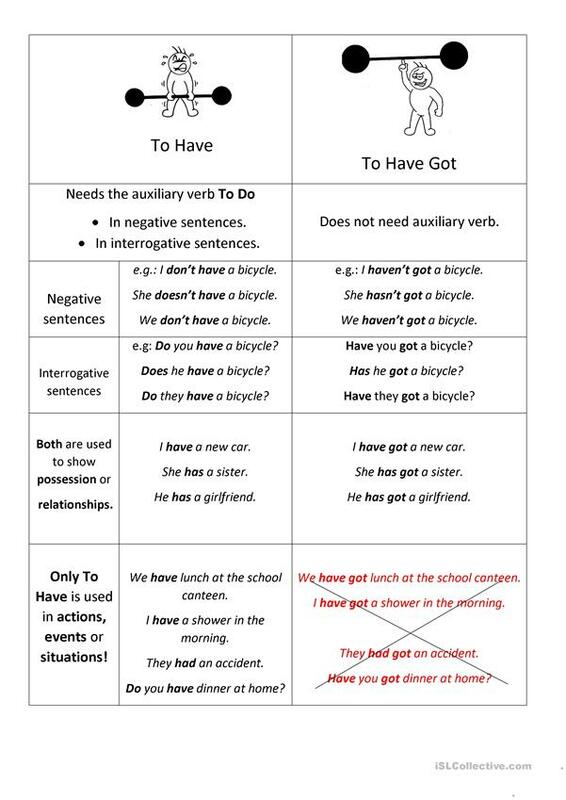 It is great for teaching Verb tenses in English, and is a valuable material for enhancing your class' Reading skills.